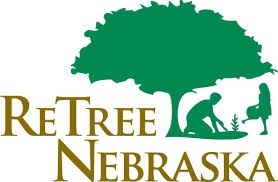 Nebraska Tree Nursery | Highest Quality Trees & Shrubs! Ideal size for conservation plantings or shifting up. Our favorite size, easy to handle and plant. Ideal size for landscape planting. Field grown for landscape and conservation plantings. Our Nebraska Tree Nursery believes fibrous, non-circling roots are key to a healthy and long-lived tree. Therefore, Dr. Carl Whitcomb’s Rootmaker® system is the primary method we choose to grow our trees. These “root pruning containers create fibrous root system using air, constriction, or trapping.” By promoting root branching, roots have a greater surface area resulting in a superior performance. To learn more from the years of research put into this system, visit www.rootmaker.com. 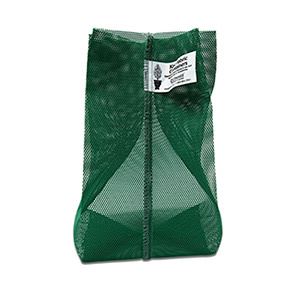 #1 RootMaker® 6.5" x 7.5" | #3 RootMaker® 10.5" x 9.5"
Nebraska Tree Nursery uses a series of vertical ribs and horizontal ledges, this container directs roots to side opening, which allow for air root pruning. This pruning creates a well-balanced root system. 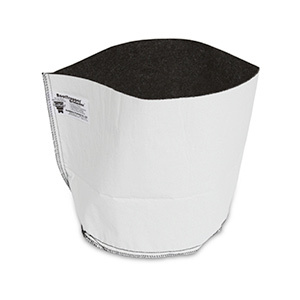 #7 RootTrapper® 12" x 15" |#15 RootTrapper® 18" x 15"
This container works by trapping the root tip in the soft-sided walls. With thousands of root trapping points in the bag and the reduced temperature, this container produces a vigorous tree with a tremendous root system. This is one of the most popular for grow bag trees. These containers small roots extend through the fabric but are unable to expand, causing constriction which leads to root branching. Once harvested not only is the majority of the root system intact but well branched. * Used in-ground, with our native soils. This is a great option in Nebraska for grow bag trees. Propagation Seed is germinated in RootMaker® trays, starting the air pruning process at 4″. Shift to 1 gallon or 3 gallon RootMaker® containers to continue air pruning. Special care is taken to allow for generous spacing to get maximum sunlight which helps build caliper and develop stem taper. Shift to 7 or 15 gallon RootTrapper®. Seed Source & Pruning Here in our Nebraska tree nursery, we deal with weather extremes: wide swings in temperature, strong winds, heavy snow loads and ice. Tree need to be able to withstand these extremes. Local seed source is, first and foremost, key to ensuring a selection of the species that is ideal for our area and conditions. We collect seed from across the state and region. In our Nebraska tree nursery, we use production techniques that encourage a building of caliper first rather than height so the tree is able to hold itself up strong along with any pressures from the elements. We prune only as needed to encourage a straight central leader and balanced branching. You’ll find our trees are branched lower than the norm. We look for the 2/3 : 1/3 ratio of canopy to trunk.